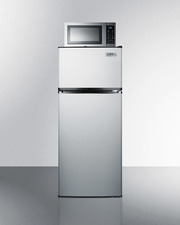 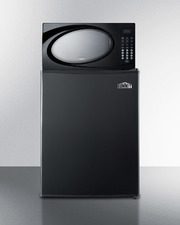 Model MRF663BSSTB combines a mid-sized microwave with SUMMIT's popular European CT663BSSTB refrigerator-freezer. 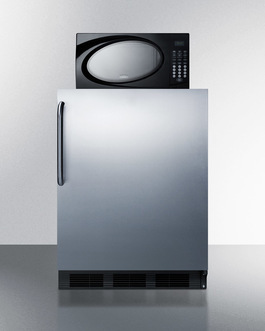 The complete unit has a conveniently slim 24" footprint for an easy fit in any tight spot and a generous 5.1 c.f. storage capacity. 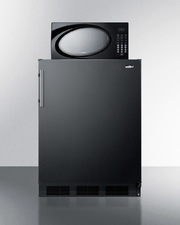 The refrigerator features a black cabinet and stainless steel wrapped door with a curved towel bar handle. 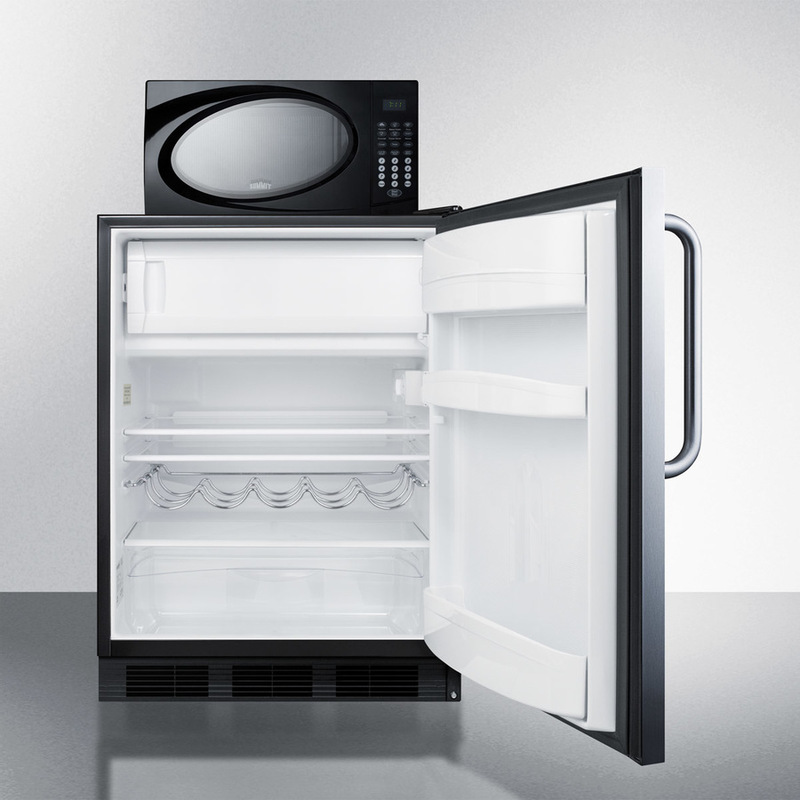 SUMMIT's own dual evaporator system separately cools the two compartments, allowing for a zero degree freezer that keeps ice cream frozen with manual defrost. Automatic defrost operation reduces maintenance in the fresh food section. Additional features include a clear crisper, adjustable thermostat, adjustable shelves, door storage, and a scalloped wine rack for holding bottles. 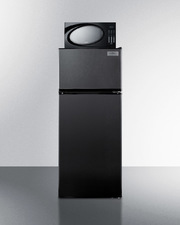 The MRF663BSSTB also includes a black touchpad microwave fully featured for easy heating. One-touch cook options and variable controls allow easy use.